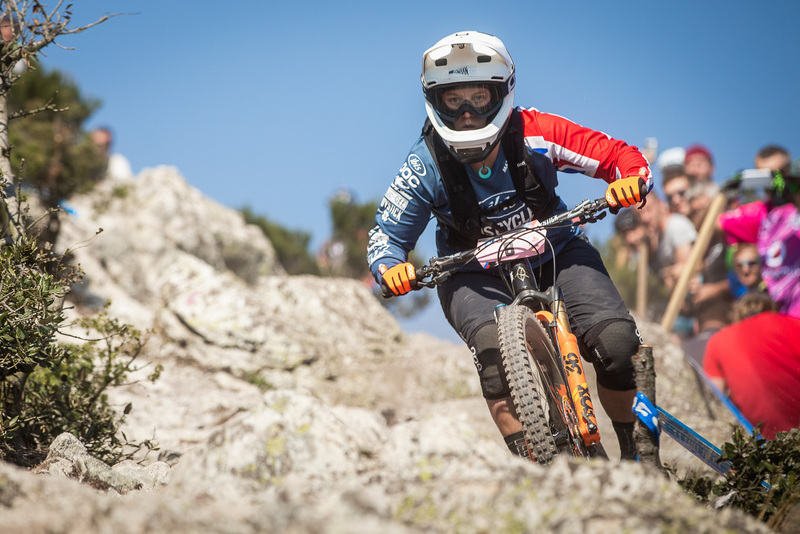 Bex Baraona, Pro MTB Enduro rider gives her take on the 2018 season end and coming into the Fit4-Physio stable! Enjoy…..
A Blog from Bex…but firstly, an introduction wouldn’t go a miss! 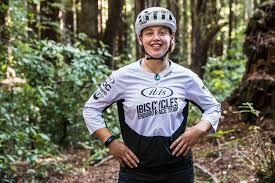 My name is Bex Baraona, and I am a 25 year old professional enduro MTBer from the Peak District. I compete around the world with my bike in the Enduro World Series (hyperlink? ), the season is crazy and we get to visit some incredible places such as Tasmania, New Zealand, Canada, Colorado, Chile, Colombia and various locations in Europe- I am certainly one lucky lady! Its been great to have recently started working with Lucy and Rich at Fit4Physio, these guys have played a big part in not only keeping my body in tact but also helping create a solid support team around me. Physiotherapy is super important for what I do because the season is so long, often gruelling on the body and with the nature of the sport, has high chances of injuries. Happy to be in safe hands! I shall be dropping regular blogs (quarterly) including a range of things which crop up in my life, from the strains, stresses and successes of racing Enduro, to the cool quirky places I visit, or maybe something interesting Ive learnt- be it, on my travels, durning my training, or maybe right here in the physiotherapy clinic! A good place to start is where I’m at right now. Well I’ve just finished the 2018 season, and what a relief it is! That isn’t in a “thank God that’s over” type way, but more of a “stick a fork in me, I’m done!” kind of way! It has been an incredible season, finishing the world tour in 5th, but it is so demanding and long, March to October, I am well and truly in need of some downtime. Racing sees me away quite often and when I am home mid season, its usually for only a couple of weeks at a time. My last trip away racing saw me head to Europe (Ainsa in Spain and then Finale Ligure in Italy)- a pretty full on back to back 2 weeks of racing. We knew it was going to be an intense trip and I had picked up a niggley wrist injury coming into my training camp, 4 weeks prior. I wanted to share with you some of what I got up to in the Fit 4 Physio Clinic over the 4 weeks, injury talk, creating routine and athlete structure, as well as what I was up to on the bike. My wrist injury really was a bizarre injury, it seemed to have different areas and sensations of pain each day! Every time Lucy treated me, we would try a few different things to get the wrist moving and pinpoint where the pains are and the lack of movements. I couldn’t tell you what we did because each session saw me explaining something slightly different and my pain level would vary. We decided a solid week off, in the words of Lucy, “anything that causes pain”, which quite frankly was most things. I really love to get in the gym when I have a big block of time to train (4 weeks is a huge amount of time for me to be at home for mid season). However, a lot of my gym work was put on hold- who knew we used our wrists so much in daily life?! Instead I took to the road bike. My coach changed up my program so that all my sessions were on the road bike and all my strength work turned into more mobility and core work. Looking back, my wrist injury forced me to take a step back and change things up, which I think my body responded really well to. It was refreshing to do something different. Instead of mountain bike ride after mountain bike ride (which can actually be quite lonely and gruelling), I found myself on the road bike most days, checking out new places and having a really different feeling from riding a bike (not muddy and bumpy!). I seemed to be enjoying it! Lucy and Rich have worked with many athletes and their expertise and guidance has been really useful for me, as a first year professional. My sport is purely individual, so a lot hangs on me and how I ready myself. In actual fact, the sport itself is very young in terms of the knowledge and information available to train athletes. Its kind of a guessing game, even the competitions can vary massively from one event to the next and everyone in the industry is still working it out. The Enduro World Series has just completed its 6th year, the competitive sport is only 6 years old so it is actually really difficult to even find an experienced coach for the discipline. There is no clear cut training program yet and I am certainly trying to find my feet. Rich and Lucy have helped to build up a support network around me, including weekly sessions in the clinic, injury support and bringing a sports psychologist onboard, all these things are for sure going to help my performance. After a great 4 weeks at home, regular trips to the clinic, the body moving well and the brain feeling refreshed, I left for my final 2 weeks of racing. It was crazy to see myself in such a different mental and physical place, even my team mates noticed my changes and commented on my riding and my good mood. For me, being a strong, happy mental place is the way to good results. The physical side is taken care for, I completed all my training sessions, pushed hard and kept my body moving well with the help of my coach and Fit 4 Physio. But to have good mental health coming into a competition is much more of a wide picture, and in my case, this was trying to create some stability- like being settled (I’ve moved house 4 times in the past year!) and having structure to my week. Often my weeks can be so varied, from travelling around the globe, training days, rest days, admin days, filming days etc, so getting some structure to my weeks has been really important. The 2 races went incredible, I finished Ainsa (Spain) in 6th, which is the kind of result I am capable of getting week in week out, however, I have been in a horribly long mid season slump with the last 4 results between 9th and 16th. 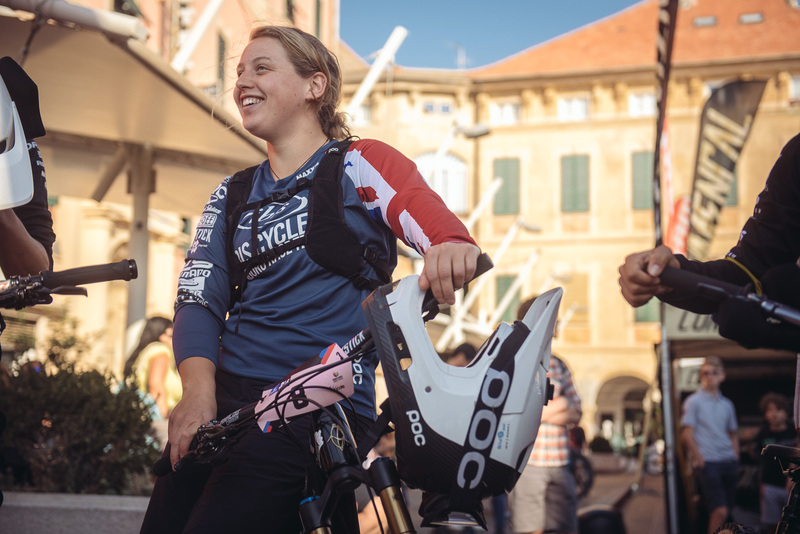 And then we moved onto Finale Ligure, and I came in 5th on the day after a silly little crash costing me the 4th place. What a feeling to end the season on pace and actually really proud of my riding and the result. Its sometimes difficult to finish a race and be able to say “yep, that was my best riding” ,believe yourself saying it and be happy even if you didn’t win the race! Season done, 5th in the world overall and super buzzing to continue into the off season with Fit 4 Physio. Thank you for all the support so far, just imagine when we get me a bit more mobile and firing the hamstrings properly!